AAARTH makes a statement unlike its predecessors. Drawing inspiration from a worldwide climate of political and social uncertainty the band transplanted themselves in Utah's vivid natural landscape immersed in a collage of colors and light, the ever fluid and expansive Southwestern sky mirroring our rapidly-changing world. The deep burnt-orange rocks and canyons became touchstones as the band formed the sonic landscapes of AAARTH. From soaring choruses to percussive pulsating guitars, The Joy Formidable paint an 11 song musical tapestry deftly balancing a sound as grounded as their ancient surroundings and as elusive and mind-bending as a gloaming desert sky. AAARTH first came to life on the road penning lyrics and recording selected parts in hotel rooms around the world. They self-produced and mixed most of the album in their mobile recording studio. This critically adored trio is comprised of Ritzy Bryan (lead vocals, guitars), Rhydian Dafydd (bass, backing vocals) and Matt Thomas (drums, percussion). Formed in North Wales 10 years ago, each album they've released has been a joyful adventure and reflection of their fearless creative discovery and self evolution. 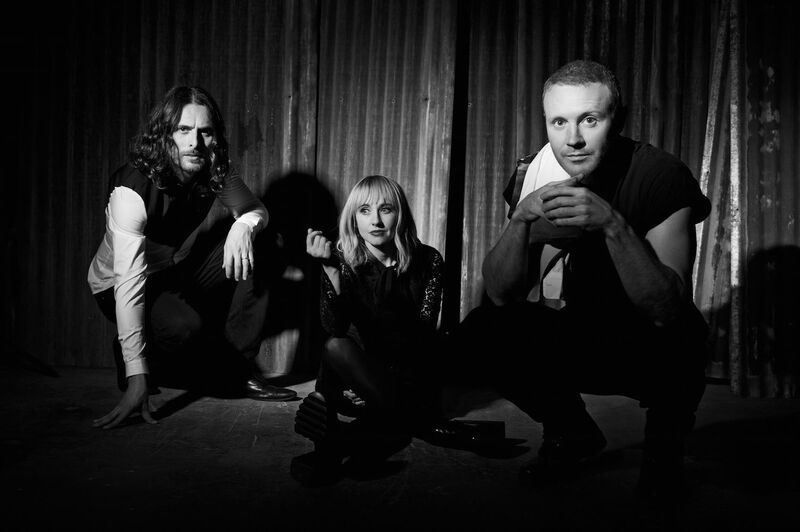 The Joy Formidable has always refused to be fenced in or fit in. That restless and boundless artistic journey continues on their fourth album, an arresting and unapologetic tour de force that finds a band at its apex with no sign of getting comfortable. Certainly, the road to AAARTH hasn’t always been easy. 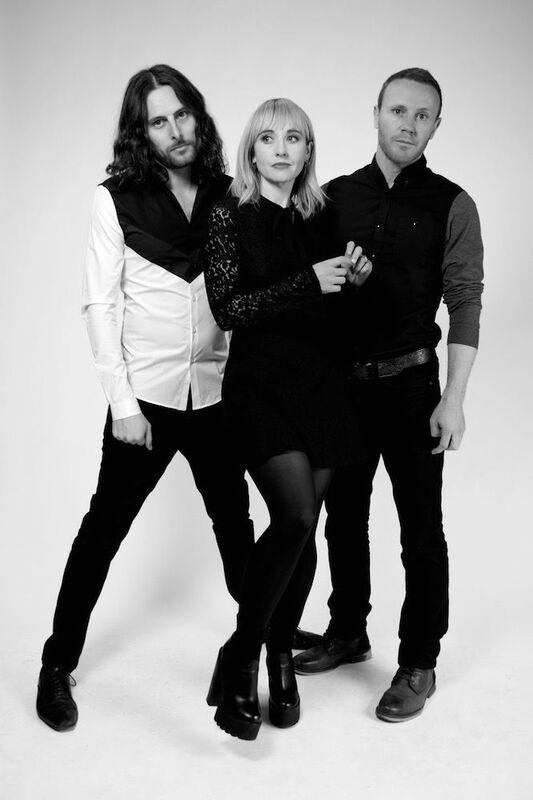 Staying together as a band for 10 years requires immense tenacity and passion, both of which The Joy Formidable have never lost. That same tenacity echoes in their new unrelenting affecting musical treatise. The songs, melodies, and arrangements on AAARTH soar seamlessly from the personal to the epic sometimes in loneliness, vulnerability, disillusionment, joy,and redemption, but all the while refusing to deny the persistence of our own and other's imperfectly beautiful humanity. Fernando Chamerelli's evocative album art frames this vibrant, diverse, and playful melodic and lyrical collage. While the sounds build the mood at the heart of this album are haunting songs that don't let go, “Cicada (Land On Your Back)” draws on the shamanistic influence of Utah, infusing the melody with a lingering psychedelic impression. “We wanted some kind of rebirth, the way you do in a tribal drug ceremony,” Rhydian says. “We wanted to lose ourselves and start again.” These themes of feeling lost and letting go only to reconnect with yourself thread through the songs. In "All and All" these themes are echoed, as the guitars hypnotically build into a crashing tide of reckless abandon, hope, yearning, and desperation. The album is book-ended by two songs that calls for a world less divided, offering a dual desire that we take on the challenge to find love and forgiveness across entrenched divisions, while reminding us that healing journey cannot happen unless we also allow forgiveness and love for ourselves. “Y Bluen Eira,” written in Welsh, invokes a white feather, a symbol of weakness in British history, and a snowflake. “It’s very easy to write off a whole group of people just by labeling them,” Ritzy notes. “That leads to a lack of communication and isolation. If we can be curious and courageous, then maybe we will find conversation across the spectrums that divide us and maybe even find new patterns to heal our world and ourselves". From the contagiously sweeping sonic feast of "You Can't Give Me" to the careening and addictive "All and All", (possibly one of the more wrenching and beautiful rock ballads since the Yeah Yeah Yeahs "Maps" shattered male dominated rock radio over a decade ago), their new record grasps its listener tight and refuses to let go. NME has written that, 'The Joy Formidable has always sounded so much bigger than the stages they inhabit'. With the release of AAARTH later this year, we are poised for the moment where the size of this band's stages, may just yet, catch up with their sound. For a band who never coveted nor chased mainstream success a much wider audience awaits and, as always for this Welsh trio, it arrives on their timeline and will be met on their own terms.